Trump says he feels a deal can ultimately be struck that works for all. The bill passed by Congress, sources told ABC News, includes no funding for the president’s long-sought border wall. While the president has been slim on the details of the agreement, he did reference a conference committee of House and Senate leaders will act in “good faith” to reach an agreement on border security. 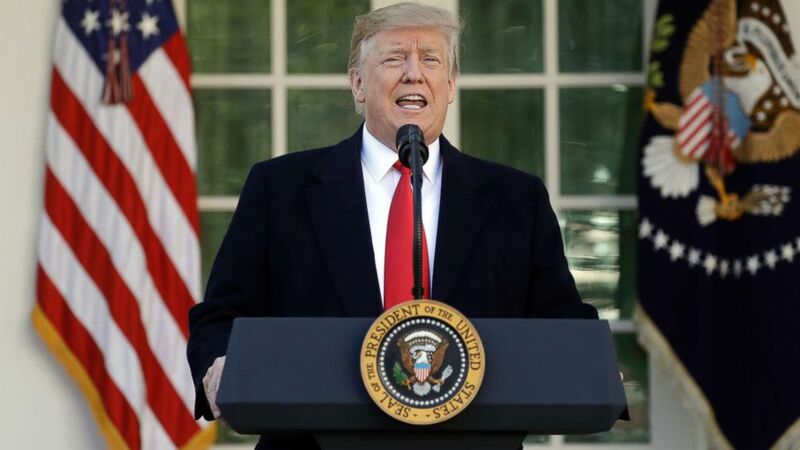 (Evan Vucci/AP) President Donald Trump speaks in the Rose Garden of the White House, Jan 25, 2019, in Washington. “Over the next 21 days, I expect both Democrats and Republicans will operate in good faith. This is an opportunity for all parties to work together for the benefit of our whole, beautiful and wonderful nation,” Trump said. "Recognizing the urgency of getting Federal employees paid quickly, the administration is taking steps to ensure that they receive pay as soon as possible. Since specific payroll issues vary by agency, employees can find more information about paycheck details by reaching out to their agency," a senior administration official told ABC News. The president of the National Treasury Employees Union Tony Reardon said checks should go out as soon as possible. “Get the checks out now. Federal employees haven’t been paid in more than a month and mortgage and rent are due next week. They shouldn’t have to wait a minute longer,” he said. Bipartisan talks about a possible short-term compromise – a three-week stopgap funding bill to reopen the government – began late Thursday between Senate Majority Leader Mitch McConnell and Minority Leader Chuck Schumer. 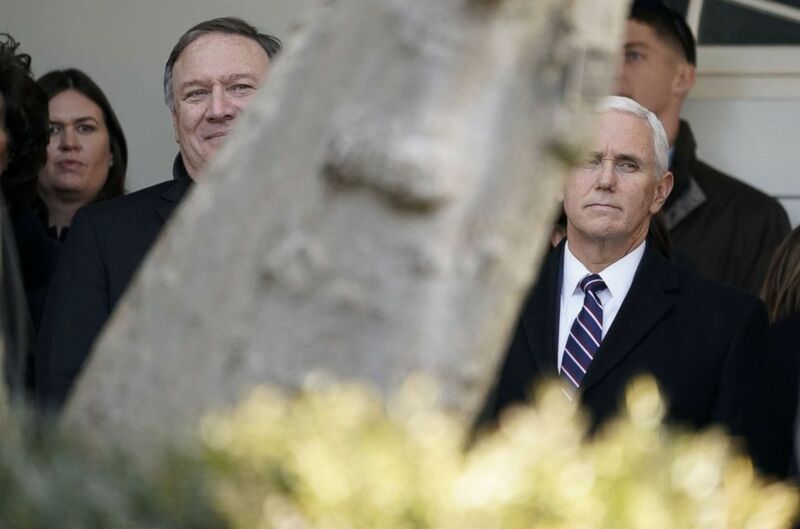 (Kevin Lamarque/Reuters) White House press secretary Sarah Huckabee Sanders, Secretary of State Mike Pompeo and Vice President Mike Pence listen to President Donald Trump announce a deal to end the partial government shutdown in the Rose Garden of the White House, Jan. 25, 2019. “I think we have a chance, yeah. I think we have a good chance. We’ll work with the Democrats and negotiate and if we can’t do that, then we’ll do a – obviously, we’ll do the emergency because that’s what it is. It’s a national emergency,” Trump said.